Leonardo DiCaprio has reportedly landed himself a(nother) Victoria's Secret model. | HELLO! Fresh from winning his first ever Academy Award, Leonardo DiCaprio is allegedly has a new girlfriend, Chelsey Weimar. US reports claim Leo, 41, has been romancing Chelsey – and she's definitely his type. A quick scan of her Instagram reveals Chelsey is a) insanely beautiful, and b) a Victotria's Secret model. Which is definitely what Leo tends to go for, if his dating history is anything to go by. Page Six alleges The Wolf of Wall Street star Leo and Chelsey were spotted leaving Nobu in Malibu together, before she uploaded some snaps to social media which a few die-hard fans insist were taken in his home. Not much is known about Chelsey, but some reports claim she was 15 in 2012 – making her around 19 years old now if accurate. But a source close to Leo has denied any relationship between the pair, telling Page Six: "It's not true. He isn't spending time with anyone. Most of his time lately has been in places like Indonesia, trying to help save the ecosystem." 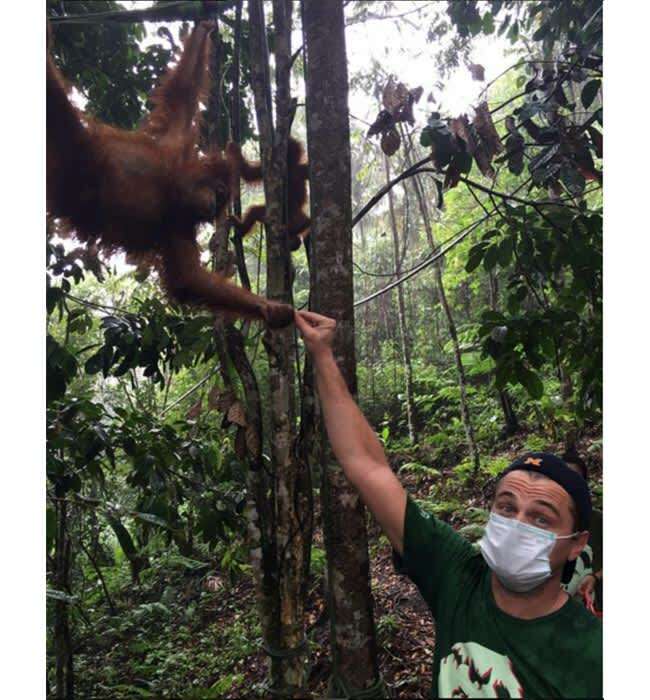 Leo recently uploaded a snap to Instagram showing him making friends with an orangutan in the Indonesian rainforest, which would corroborate his story. Next to the adorable picture, he wrote: "If we don’t stop this rampant destruction, the Leuser Ecosystem and the Sumatran orangutans that call it home could be lost forever." Handsome, talented and passionate about an important cause; could Leo be more husband material? Just in case you needed a refresher, in the past Leo has been linked to models including Bar Refaeli, Erin Heatherton, Anne Vyalistyna and Toni Garrn. Who are all Victoria's Secret models, by the way. Leonardo DiCaprio's model girlfriend: Who is Kelly Rohrbach?